Here’s the Official National University Commission (NUC) Lists containing the names of all approved National Open University of Nigeria (NOUN) Study Centres, this is the official list, because this lists contains the Addresses, Emails of all approved centres! You’ll certainly enjoy this. Are you thinking about registering with a center of the National Open University of Nigeria (NOUN)? Then you can simply find out the approved centers before you fall victim to fraudsters. Once again, the National Open University of Nigeria (NOUN) officials has published the lists, which contains the names, address and email ID of all approved study centres in Nigeria. The main reason why this list is published, is to help all aspirants to know the the approved centres and illegal Study Centres. According to our correspondent who was present when this announcement was made and documented everything in a mail sent to our national office, disclosed that this list was signed by NOUN Registrar, and that the approved list was published in the weekly Bulletin of the National Universities Commission (NUC) of Nigeria, on 2019. We would love to pass this information to all Members of the public, to be at alert and not to deal with the illegal operators who are not mentioned here on this list and “who have illegally proliferated NOUN Study Centres across the country. In a little time, they will be caught and charged to court. Please note that these fraudsters are using several means to extort money from undiscerning students, and with this altitudes they’re displaying, they are generally projecting a negative image of the National Open University of Nigeria to the public. 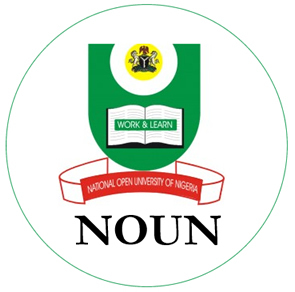 NOUN Special Study Centre, Nigerian Public Service: Public Service Institute of Nigeria (PSIN) Study Centre, Kubwa Express Way, Dutsen Alhaji Abuja. MACARTHY STUDY CENTRE: No. 38/40 McCarthy, Off Obalende Road, Opp Ghana High Commission, Lagos Island, Lagos. “Any other Study Centres, apart from the above, are illegal and members of the public who patronize them, do so at their own risk,” the announcement further read. The NUC has been actively campaigning against the proliferation of illegal institutions in the country. Nice institution, let me just say the best. Plss I want 2 get d form nxt wik. Is it posible 4 me 2 resume skul diz same january??? Nd do I hv 2 pay skul fees imediately? ?